Seamlessly achieve higher levels of fault tolerance and performance for your applications by using the Azure Traffic Manager to automatically route traffic across multiple servers. 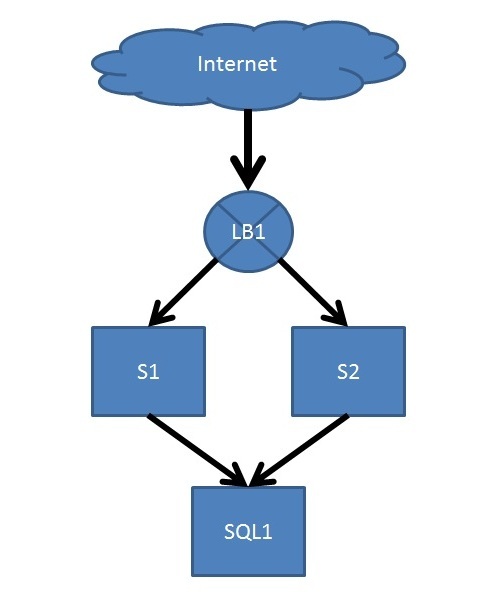 Load Balancing ensures that only healthy instances receive traffic by detecting unhealthy instances and rerouting traffic across the remaining healthy instances. Azure Traffic Manager gives you four methods for traffic routing: Failover, performance, geography and weighted round-robin. Choose the one that's right for you or combine using nested profiles. Traffic Manager can improve the availability of important applications by monitoring your Azure services, or external websites and services, and it automatically directs your customers to a new location when there’s a failure. Traffic Manager makes your applications more responsive and improves content delivery times by directing your customers to Azure or an external location with the lowest network latency. Traffic Manager can direct your customer traffic to distribute it across multiple locations, such as multiple cloud services or multiple Azure web apps. Traffic Manager can use equal or weighted load distribution. Traffic Manager is a popular option for on-premises scenarios including burst-to-cloud, migrate-to-cloud, and failover-to-cloud. Use it to upgrade or perform maintenance on your on-site datacenter without inconveniencing your customers.